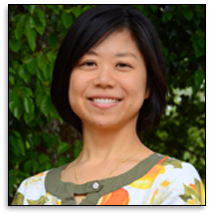 Dr. Hiroko completed a Master's Degree in Traditional Chinese Medicine at Florida College of Integrative Medicine in 2006. In 2006 she opened The Maker's Healthcare, an acupuncture and herbal medicine clinic, in Orlando. In 2010, Dr. Hiroko moved back to her native country of Japan and obtained further training and education in the Oriental Medicine while working at physical therapy and acupuncture clinic in Kyoto. In 2012, she returned to the States and and received extensive training under the supervision of Dr. Charng Shen Wang until she started her own acupuncture house call practice in 2015. She Returned to ARC in January 2018.